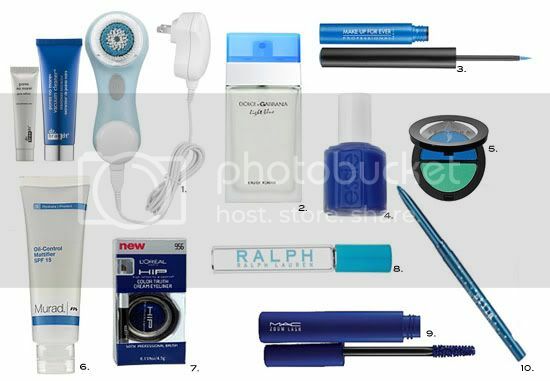 After being given a fab blue smokey-eye yesterday evening, (I hope to reveal pics soon) all I could think about was buying blue beauty/make-up items for my spring beauty arsenal. I definitely went home on a blue-note. My last name and one of my favorite colors. I keep a D&G Light Blue set although recently I've fallen for The One. Such yummy scents. The quad by Sephora is vibrant and I like the color combo.